The quintessential Indian saree has graduated from being the traditional six-yard drape steeped in tradition to becoming an expression of contemporary style. The pre-stitched and pre-draped did have a moment, but today’s versions explore the saree in its original form, albeit with aesthetic updates. 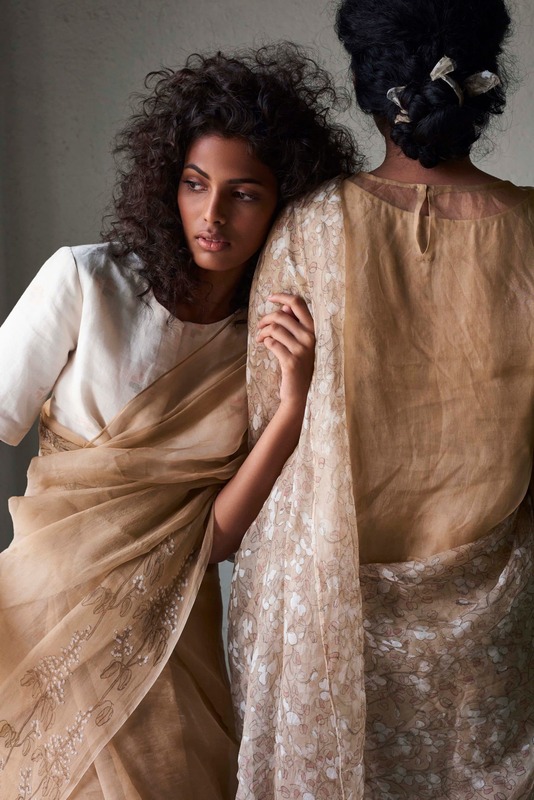 The change in tide is thanks to revivalists like Anavila Misra whose reinterpretations of the traditional drape in organic linen, khadi, and tussar silk have struck a chord with modern Indian women. Misra, a NIFT graduate in knitwear design, has worked closely with the Ministry of Rural Development on their craft cluster projects with weavers, and helped them create products suitable for an ever-evolving market. She launched her label in 2011, and since then has projected the saree in a new light – as a modern outfit that can be worn daily. Misra has certainly infused a certain lightness to the idea of wearing a saree, specifically with her drapes. 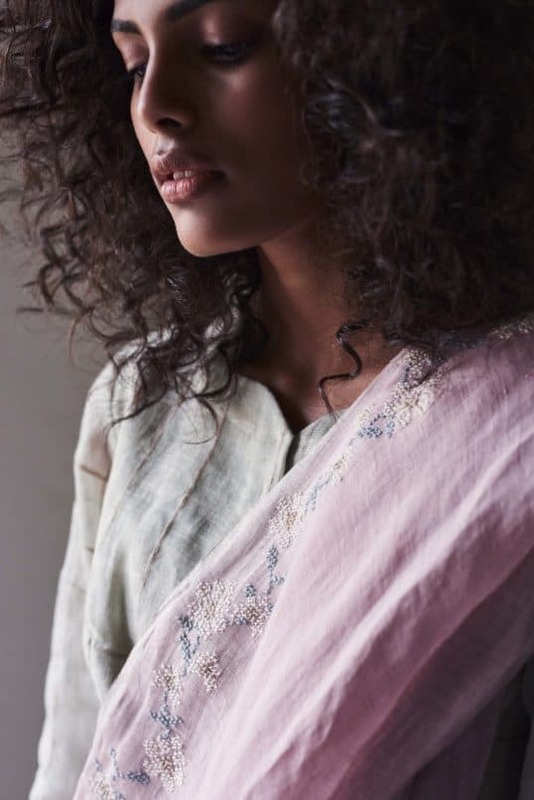 Be it how she has played around with the traditional Bengali style; pairing saris with belts; ankle-length drapes; styles inspired by how tribal communities wear it; or even draping the pallu around the neck like a scarf, her’s is a fresh approach. 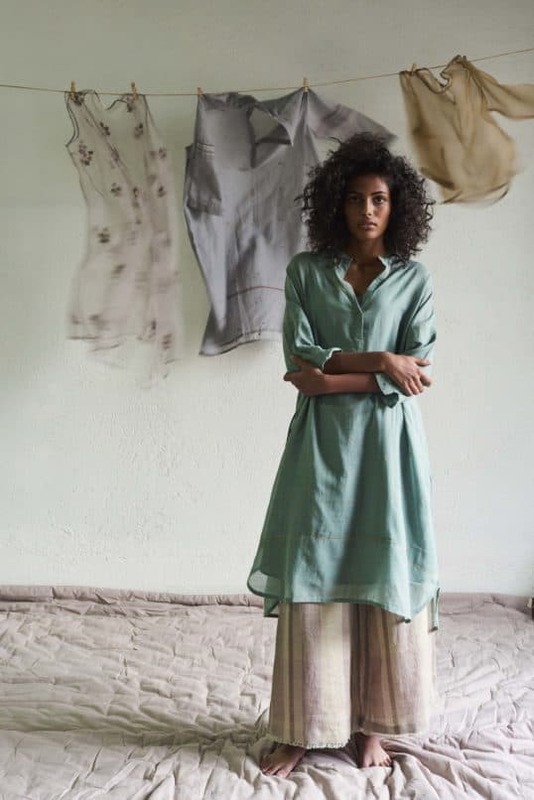 Having created menswear with linen previously, she was familiar with its luxurious feel and tactility, and experimenting with it became easier. We spoke to her about her new summer line. 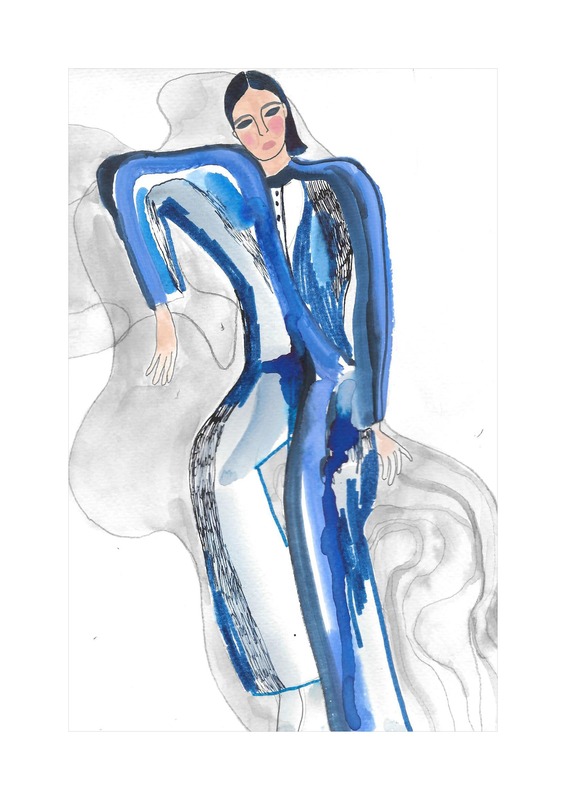 What’s the inspiration behind your SS ‘19 collection? My constant travel to Vietnam, more so to the Sa Pa region, left a lasting impression. It has not only creatively inspired me, but the life and lifestyle of the very industrious Sa Pa women have found their way into my routine. I was inspired by how every day, naturally available materials are converted into beautiful products, and how creating and consuming in a sustainable and responsible manner is a natural way of life for these women. 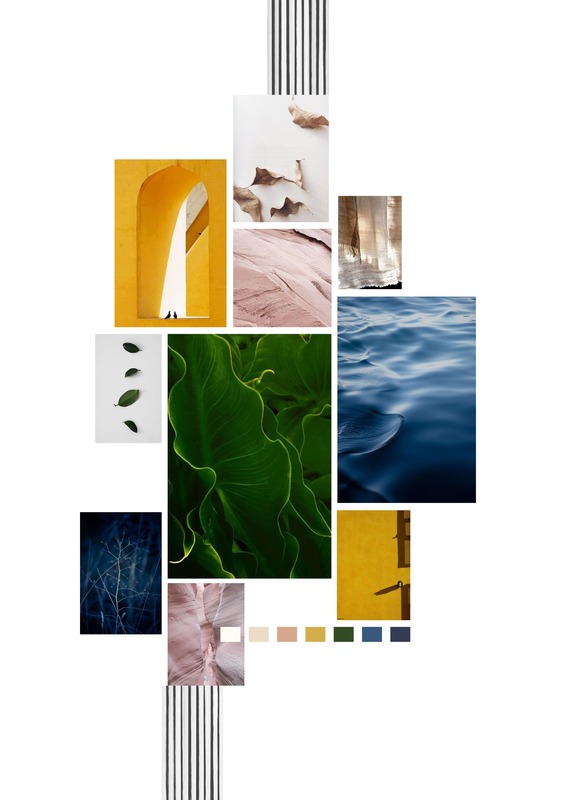 What materials are you experimenting with in your latest collection? 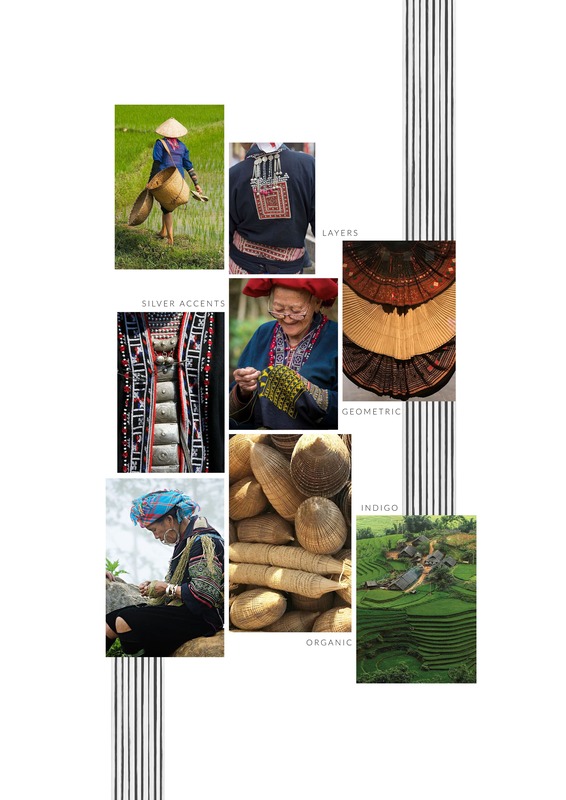 We are inspired by the culturally rich and diverse Sa Pa tribes. It is a complete organic collection this time. All our garments are natural fabrics and we have used 100 percent natural dyes as well. What are the fabrics used this time? Also, any new techniques? We have used fabrics like kala cotton and silk khadi along with linen. Techniques like cording, pleating, and also crochet embroideries have been applied. In prints, we have hand batik, which is found in almost all our garments. Comfort and practical layering are a strong feature in this collection. We have always tried to create garments that are comfortable and functional, coupling it with elegance and style. Most of our silhouettes are such which can be worn both for leisure and work depending on how you style it. The silhouettes that I work with are based on the factor of mobility and comfort. 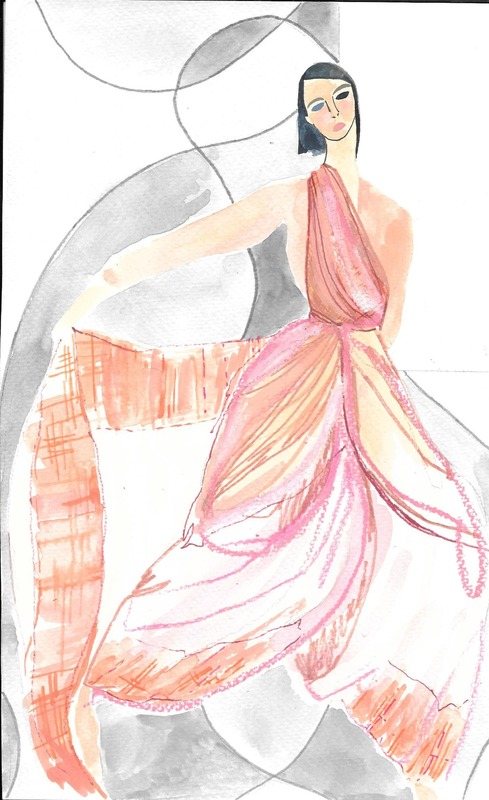 Adding a touch of vintage like the Victorian sleeve places an element of grace and adds a flow to any look. It’s a block-printed, broken twin stripe linen saree. The motifs on the saree add a lot of fluidity giving it a lovely touch. Also, functionality is something that can be seen this year. A more controlled drape will become popular that will help to move about. Very. Sustainability is a conscious decision that we have to make every day – it is the only way forward if we want to save our environment. It’s a slight shift in our thought and processes, which has a long-standing impact. This is a complete organic collection. Each piece is made out of organic fabric, naturally available and dyed by clusters specialising in hundred percent natural colour.